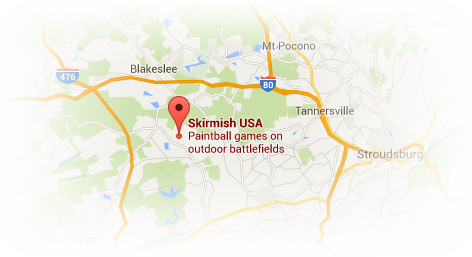 If there was ever a day to clear your schedule and head out to Skirmish, this is it. A paintball deal so big, so awesome, so unbelievable that you have to blink and read the screen again to make sure it’s real. Only $59.00 per case of paintballs – that’s 2000 rounds! $29.99 per person – pre-registration discount, ages 10 and up. $37.99 per person – game day registration, ages 10 and up. Every person that makes advance reservations and is paid in full at least 24-hours in advance will receive 100 free paintballs. Every person that plays Skirmish paintball must sign a liability waiver. If there are any paintball players coming to Skirmish that are under the age of 18, a parent/guardian must sign for them. 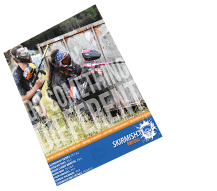 Click here to download and sign your Skirmish Paintball waiver.